Minter was selected 21st overall in the 2016 MLS SuperDraft by the Columbus Crew. SACRAMENTO, Calif. – Sacramento Republic FC have agreed to a contract with midfielder Chase Minter for the 2016 USL season. Minter was the 21st overall pick in the 2016 MLS SuperDraft by the Columbus Crew after playing collegiately at Cal Poly San Luis Obispo. Minter played four seasons with Cal Poly from 2012-2015, appearing in 77 matches, including 67 starts. Minter recorded 21 assists and scored 16 goals in four seasons. He recorded back-to-back seven goal seasons (2014, 2015) and had over five assists in three straight seasons (2013-2015). Minter lead Cal Poly in goals and assists in each of the last two seasons. Minter also played with the Ventura County Fusion (PDL) from 2013-2014. He appeared in 17 matches over two seasons scoring three goals and recording four assists in 1,094 minutes played. 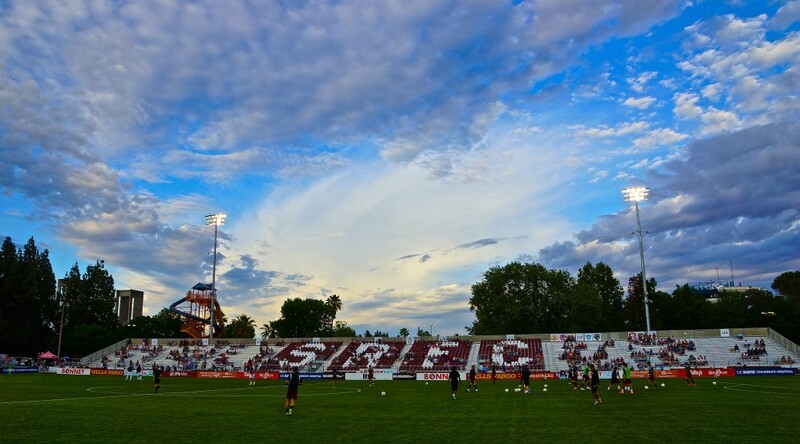 Sacramento Republic FC kick off their 2016 USL season on Friday, Mar. 25 when they travel to Tukwila, Wash. to take on Seattle Sounders FC 2. Kickoff is 7:30 p.m. at the Starfire Sports Complex. Single match tickets are currently on sale for the 2016 Republic FC Home Opener on April 2 vs Arizona United SC at Ticketmaster.com.